Storm Clean Filtration Systems are full capture devices that are highly effective at removing pollutants from industrial and commercial stormwater. Storm Clean® Filtration Systems are full capture devices that are highly effective at removing targeted pollutants from stormwater. CleanWay® Environmental Partners offers various filter element options for industrial, commercial and residential sites as well as environmentally sensitive areas. We work with you to address pollutants of concern - including turbidity, suspended solids (TSS), dissolved metals and more - to help you achieve NPDES compliance. Storm Clean Filtration Systems fit in any size catch basin, drop inlet, curb inlet and downspout configuration. 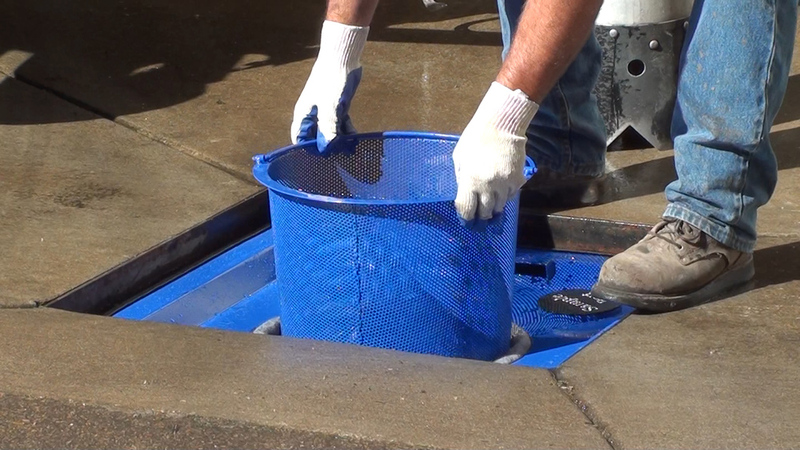 With our adaptive design features, we can provide a perfect fit for all catch basins. To fit the particular needs of your site, we also manufacture variant size filtration units. CleanWay Environmental Partners works in partnership with you to ensure your requirements are addressed. As regulatory requirements change, we are nimble to stay current. ©2019 CleanWay Environmental Partners, Inc.